As one of the biggest uniform websites you’re sure to find the right garments for your business somewhere on this platform. If not, don’t worry simply ring up our team and we’re sure to provide a unique workwear solution. A high-quality uniform can help set the tone for your business, empower staff and brand your business. Our business is your uniform for over forty years we’ve been manufacturing and supplying uniforms to hotels and restaurants in Swindon, we have a large variety of clothing options for you to choose from to create the perfect look for your business. Whether you’re a restaurant manager looking to outfit your front of house staff or a chef requiring a new jacket we’re here to help. There are copious positives to ordering your workwear online from Tibard. From the sheer range of garments available to purchase quickly and the ease of buying makes us one of the most popular uniform suppliers in the UK. We stand by the quality of our uniform pieces as do our customers, Tibard shirts, aprons and chef jackets are worn by internationally recognised businesses who choose Tibard because our garments are reliable. Tibard’s unique personalisation and embroidery services are perfect for those interested in embroidered uniforms or workwear in Swindon and Chiseldon, Covingham and Haydon Wick. For businesses and brands looking to create a cohesive look for their employees. However, there are many avenues available for those of you looking to get a great uniform at a competitive price. For example many businesses choose our uniform rental services in Swindon because of our reasonable rates and reliable service. You can learn more about the Tibard uniform services by taking a look around our website or feel free to get in contact to learn more about how we can help you. Here at Tibard we have been manufacturing and supplying chef jackets for over thirty years we know quality. We have an expertly curated selection of jackets currently being used in restaurants across Swindon. The hospitality industry also has a variety of requirements for uniforms, everything from shirts and blouse to professional looking suits and ties. At Tibard we understand the needs of a business change all the time, that’s why Tibard have gold standard customer care so you can make large orders, learn more about the products and get updates on any new pieces. Our competitively priced workwear can be delivered to your business in Swindon at a time that works for you. The Tibard uniform garments can be purchased as single items or through bulk ordering. Bulk purchasing of workwear can vary from a variety of sizes to a range of colours, whatever you need for your business. However, we know that every business and every industry has its own unique needs when it comes to their uniform. 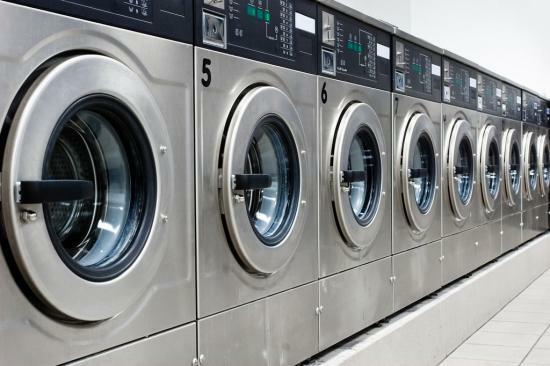 Therefore, Tibard is proud to offer a laundry and a uniform rental service. Tibard works with premium commercial laundry services in Swindon to ensure our clients get their uniforms professionally cleaned in a timely fashion. One thing that sets Tibard apart from other uniform suppliers is our bespoke design service. If you’re a business looking to create a unique image then we can create pieces exclusively for your business all made and manufactured in the UK. Customised to your exact specifications these pieces can define your business. Whether you’re after unique design or affordable, professional workwear for your staff Tibard has a variety of services to help your business reach its full potential.